Recently I was honored to be asked by City Attorney Nina Hickson and City Manager Crandall Jones to make a presentation to the East Point City Council during its annual retreat. I spoke to the Council on the topic of Council / Staff relations. I titled my paper Would You Act Like That In Front of Your Grandmother?! (How Good Council/Staff Relations Can Minimize Public Risk and Improve Public Image). I illustrated my presentation with quilts to show that each person is part of a bigger picture. Shown here is my quilt Fulton County Attorneys which is a signature quilt made during my tenure as the Fulton County Attorney. 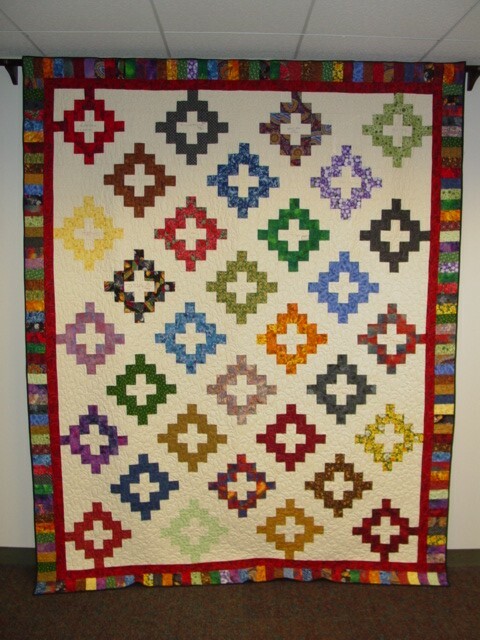 Each staff member signed a block in the quilt.